If you’re ready to move up the corporate hierarchy, your resume is the first battleground. But how can you minimize causalities and prove yourself a strong and responsible soldier? Here are five tips for crossing the Rubicon and getting the job promotion that you’re seeking. When crafting an internal promotion resume, it’s a good idea to start from scratch instead of just updating your existing forms. 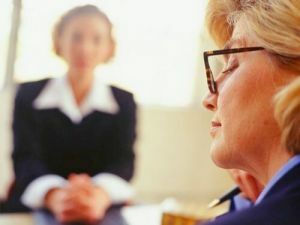 Your previous application was made from preconceptions about the company and how you might fit into it, but you should have a much clearer idea now about what your bosses’ value in their employees. Why should they give you the promotion? What makes you a better person for the job than an outside hire? Your experience within the company is your greatest asset, but you’ll need to show how that will translate to the new position. If your company uses specialized software, explain how you’ve been using it for years and require no additional training. If you’re seeking a managerial position, underscore all the times you’ve mentored new employees. All companies have buzzwords and jargon, but the key is to use them in a way that speaks to inside knowledge and understanding. Any prospective hire can browse the website and pick up on key phrases, but only someone who’s worked in the building for years will appreciate how they’re used on a day-to-day basis. An internal promotion resume is a great way to show off this expertise. If you’ve worked for the company awhile, don’t be afraid to list all the things you’ve done that have made operations run smoother or for less money. Offer clear, objective-based results of your previous accomplishments. For example, make note of the reduced overhead when you turned the office paperless, or talk about the five percent hike in employee productivity after you updated all the computers to a cloud network. You don’t necessarily have the edge over competitors just because you’re familiar with the inner workings of the company. In fact, unless you can prove that you’re perfect for the new position, the higher-ups may decide you’re best left exactly where you are. You want to be invaluable, not irreplaceable. Be sure to formulate and share an exit strategy that takes into account the hole you’ll be leaving in your current office. When seeking a better position with more responsibilities, you want your internal promotion resume to show just how organized and dutiful you really are. Whether you live in Michigan or around the country, the employment consultants at Vertical Media Solutions can guide you toward a successful career move. All our professional resume writing services include a personalized telephone consultation, so give us a call today: 616-631-4300.